The Public Image, LTD team are selected and assembled to resonate their passion and provide superior salon services to all clients. 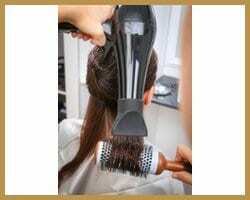 We offer a full range of high-quality services and products at affordable prices from haircuts and styles, hair coloring, facials, makeup application and so much more. Our team of passionate hairstylists is dedicated to the art of hairdressing. The degree to which they pursue this craft is exceptional. Each of them believes in continuing their education and constantly working to refine their skills. 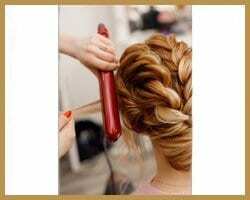 Let them prove it and bring out the best in you with our wide array of professional hair services. How about adding length and volume to your hair with hair extensions or a fancy updo? We have been partnering and have been committed to Goldwell Color for over 30 years. After years of hands-on experience, we continue to choose this product when creating beautiful color for our clients. The line continues to create color with a timeless appeal. 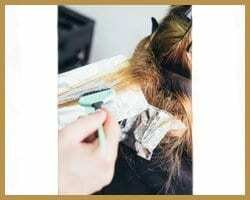 Trust in us and stop by for your next coloring service. You will be extremely satisfied and truly amazed with the results. Have you been searching for the ultimate skincare salon? Look no further. Our estheticians are trusted for their unequaled skill and compassion while providing the desired results. Being comfortable and relaxed is a must at our salon. We are friendly, courteous and assure the highest level of service. Stop by, visit, and or book an appointment. And don’t forget to check out our special package. Experience dedicated and professionalism with our creative and extremely talented makeup artists. Their expert artistry has won them a great reputation with local photographers and event planners. No matter what the occasion is give us a try. We only use top of the line products. Are you asking yourself, “what exactly is a blo dry bar”? Well here is your answer in just 6 words, No Cuts, No Color, Just Blowouts! It is the hottest new trend and is growing rapidly in popularity. At our Public Image, LTD. hair salon, you can visit our Blo Dry Bar, get a beautiful hair blown out in just 30 minutes. If you have questions about us and the services we offer you may contact us using our easy online form. We look forward to hearing from you.